You spend almost a third of your day sleeping. That’s a lot of time that can seem to pass with a blink of the eye, making it feel unproductive despite its importance to our body and mind. Sleep itself is very much an essential ingredient to staying youthful in appearance. Lack of rest can lead to dark circles and tired luster-less skin, making you fit for a Tim Burton film. Your whole body, from the inside to the outside, goes into repair and regeneration during the night, so why not get more bang for your buck? Take advantage of those calm, restful hours when you’re not busy dealing with everyday life and help your body out on its mission to keep you looking like the best version of yourself. In our first Beauty Sleep installment, we’ve got two product recommendations from me, T! I push pixels here at QE Headquarters, co-write the blog with D, and spend a little too much time at Sephora. I’ve been using this “elixir” every night for almost two months since I ran out of my previous night cream. Being primarily composed of primrose oil, squalane, and lavender oil, I was hesistant to apply a product of this consistency on my already oily skin. However, the oil is super lightweight and fast absorbing while still managing to feel present overnight. A little goes a long way (2-3 drops will cover my rather large face), and the bottle seems to be lasting forever which helps justify the price tag. The morning after, my skin always feels soft and velvety. It also does a great job of calming any redness or irritation from the night before, giving an impression of radiance. My favorite aspect of this product though, is the hint of lavender smell. I’ve really come to enjoy the ritual of putting it on right before bed and having the pure, natural scent calm me down, getting me ready for a serene sleep. 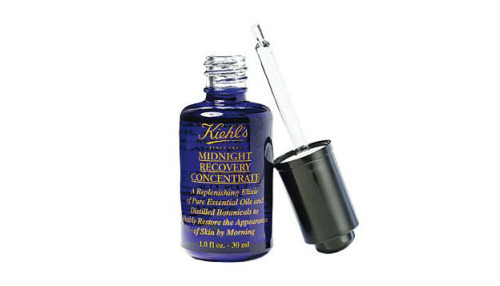 Like the Kiehl’s concentrate, it may seem at first that this product is a bit on the pricey side, but boy does a little go a long way. While this lip mask isn’t advertised to be used only at night, I have loved applying it before bed when my lips need some serious damage repair. The consistency may not be to everyone’s liking as it is somewhat sticky, but this really seems to be why it manages to last so long on the lips and therefore, make your dollar go further. When I wake up in the morning 7 to 8 hours later, I love that there’s still a sheer layer on my lips, keeping them protected and nourished. All the natural and beneficial ingredients in this heavy-duty lip balm really seem to smooth the lips, keeping them healthy and plush. My one complaint would be that the packaging makes the product a bit hard to squeeze out, however it also helps to guarantee that you don’t use too much at once! One more note about these products, both girls and guys love them! I’ve definitely had my share of family and friends stealing a squeeze here and there! So go on, everybody get in that beauty sleep!